Order your Rode SC6-L Kit Mobile Interview Kit For Lightning iOS from AMS and enjoy 0% Interest Payment Plans, Free Shipping, Free Extended Warranty & 45 Day Money Back Guarantee. 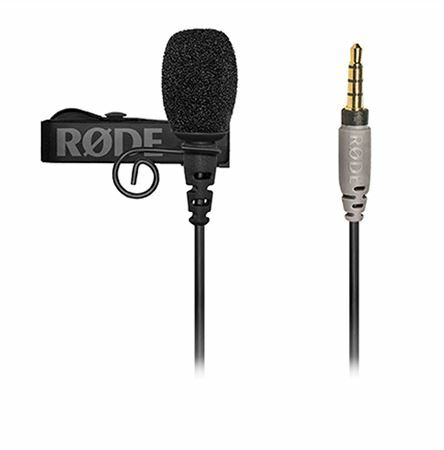 An all-in-one package, the RØDE Mobile Interview Kit is designed with run-and-gun interviews in mind. 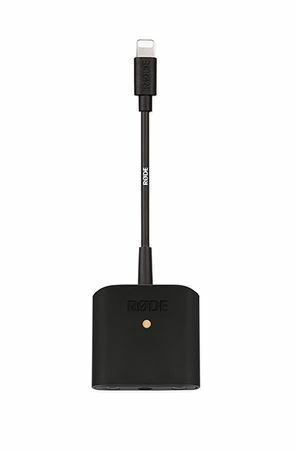 Featuring a quick and easy setup, the RODE Mobile Interview Kit provides flexible recording options for crystal clear audio. 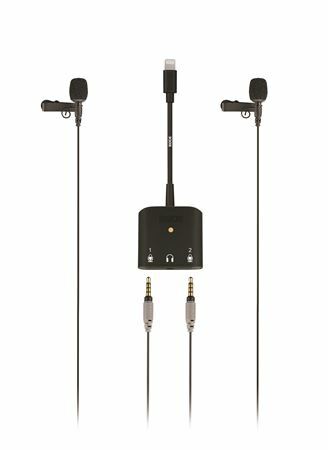 The Interview Kit includes one SC6-L and two smartLav+ lavalier microphones for effortless dual audio recording on the go, using your iPhone or iPad. 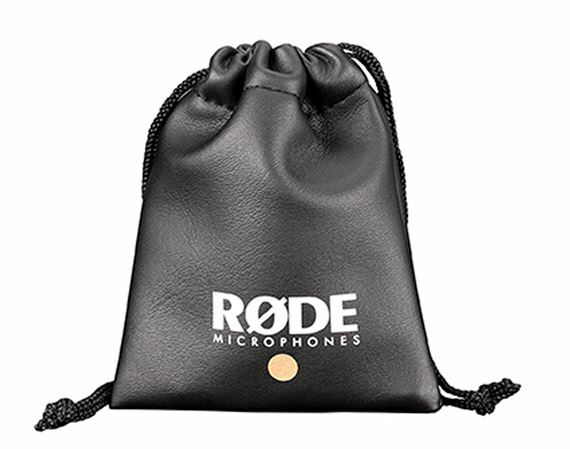 The Interview Kit comes with the SC6-L, two LAV-CLIPs, two WS-LAV windshields, a storage pouch, and two smartLav+ microphones, RØDE's professional grade lavaliers. The smartLav+ is a discreet and portable 4.5mm miniature mic made with omni-directional condenser capsules and Kevlar reinforced cables, making them suitable for a wide range of film, television and broadcast applications. The SC6-L is a simple input/output breakout box with Lightning connector to connect directly to iOS devices. With two TRRS inputs and one stereo headphone output, the SC6-L connects to any TRRS devices, including two smartLav+ microphones and headphones for direct monitoring and playback. Optimised to be used with the RØDE Reporter app, the user can enable/disable direct monitoring, alter boost gain, and choose between summed stereo and dual mono. These features can be retained by the SC6-L allowing users to use the SC6-L with other apps, such as the Camera, GarageBand, Voice Memos, etc.